This cereal is described on the front of the box as a "crunchy cinnamon multi-grain cereal." The cereal pieces are shaped like miniature cinnamon rolls. 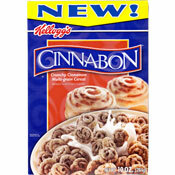 "Now you can enjoy the great taste of Cinnabon in a breakfast cereal. Just add milk to the rich blend of cinnamon and fresh-baked crunch, and you'll be experiencing world-famous flavor in a whole new way." 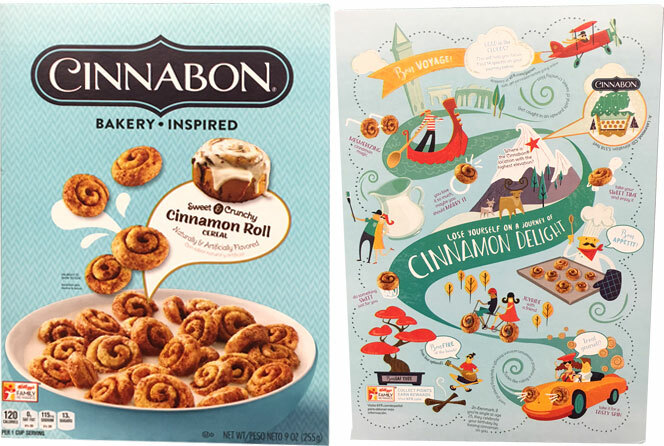 Above is how a box of Cinnabon Cereal appeared in 2017. 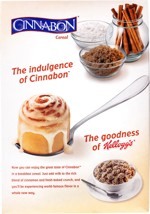 Cinnabon Cereal has been reviewed on MrBreakfast.com. What do you think of Cinnabon? 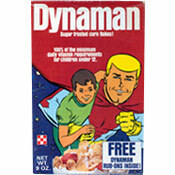 Definitely one of the best cereals ever created. I love it! My grandson loves it, but I can't find it at Krogers, Wal-mart, Food Lion or local owned stores. Where is it? I love this cereal, but I can't find it in any store in my area. Why? Take a good whiff before your first spoonful of this tasty cereal! You can still get this at Wal Mart. Wow. Another cereal you have to hold yourself back on if you don't have a spare box. It was 2 and some change at Wal-mart, worth every penny. Just like a crunchy cinnamon bun. 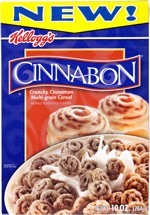 Please Kellogg's - Ship some Cinnabon cereal to our city. Cannot find it in the stores that carried it. It is delicious! We have a Walmart, Kroger, Harvey, and some smaller stores, but no Cinnabon cereal in Waycross, Ga. Thanks. Cinnabon cereal is one of my son's very favorites. Tastes like a cinnamon roll!! !